I have been a fan of the Teenage Mutant Ninja Turtles for decades now, long enough to have read the comics before the iconic 80s cartoon. The franchise has had a long and generally successful history, and video game tie ins are a big part of that. Turtles in Time is in my top five arcade games of all time, and between me and my two boys, we’ve watched countless Turtle cartoons and mashed lots of buttons in Turtle games. When I heard about a new game from the creators of Transformers Devastation, which I enjoyed, I was very excited to play it. Mutants in Manhattan wisely sticks with the tried and true brawling beat ‘em up gameplay of its predecessors. Since the main characters are adept at fighting bad guys, a brawler makes sense. You’ve got your standard light and heavy basic attacks, jumping, dodging, and several special attacks (“ninjitsu”, naturally) which can be upgraded as you progress. 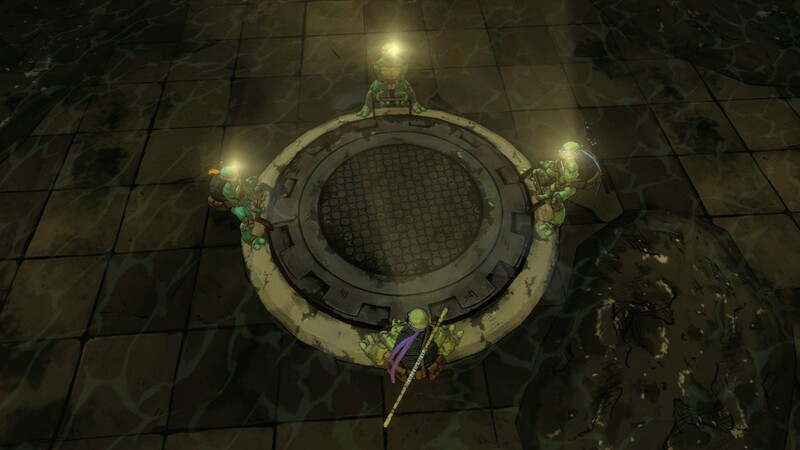 A surprisingly deep list of special items can be obtained while taking on Shredder and Krang’s minions. 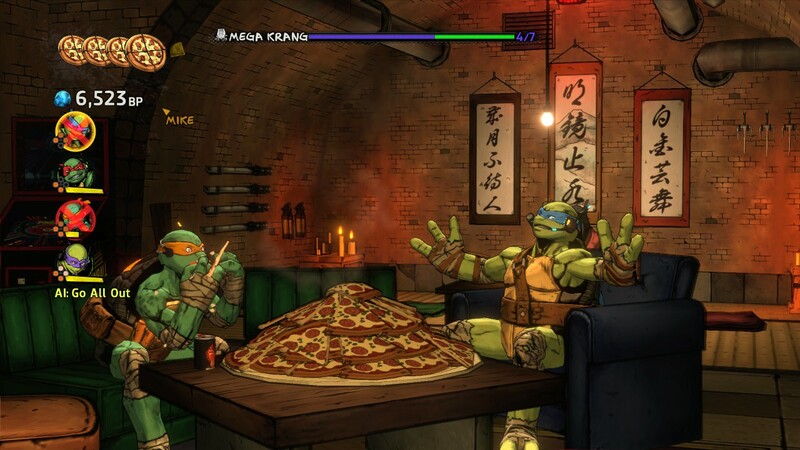 So far, so good, exactly what you would expect in a Ninja Turtles game. 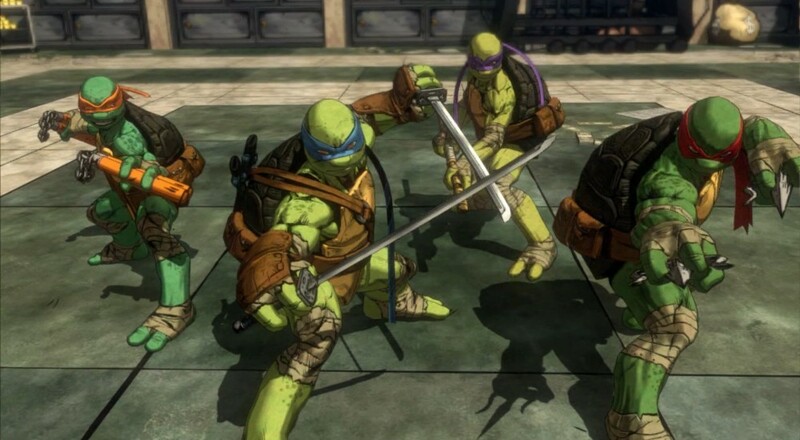 After a rather long tutorial sequence, you are dropped, along with your three turtley brothers, into the first level, on the streets of New York. April O’Neal directs you via radio to groups of enemies which must be dispatched. To make it easier on you, there’s a special viewing mode which highlights target areas and baddies for you. You take out one group, move to another, and wait for the “boss meter” at the top of your screen to fill up, then fight a boss before moving on. And that’s basically the game. There are some twists thrown in here and there, but largely, this is the formula from start to finish. The environments change, from the streets, to the subway, to the sewers, and to the requisite futuristic hideout. Sometimes you are disarming bombs, sometimes you are pulling switches, sometimes you are just taking on a newly spawned group of enemies. It’s repetitive, yes, but the formula can work if it’s handled correctly, as many other games have shown before. Unfortunately, there are many problems that pop up as you make your way through Mutants in Manhattan. In a nutshell (turtle shell? ), the game is uneven and unpolished. The difficulty spikes dramatically, then levels off, leaving you angry and confused. Some levels are brief and simple, while others feel artificially long and frustrating. There’s the core of a decent brawler here, but too many bugs and bad design choices to make it fun for most people, and particularly for the younger audience for which it was presumably intended. Let’s talk boss battles for a moment. Bosses in Mutants in Manhattan are inexplicably difficult. The typical boss has seven health bars to wade through. Seven! Considering that normal attacks barely make their health bar move at all, most of your damage will come from “ninjitsu” attacks, but even these will sometimes let you down. The bosses have incredibly powerful combinations of attacks, and while they generally telegraph their moves, often, you are stuck in an animation and have no escape. By the end of the game, I found myself just standing back and letting the AI take the hits while I tossed ineffective shurikens at the boss, just so we wouldn’t all wipe out at the same time and have to continue (starting the boss fight over). You’d best hope you enjoy these fights, because there’s an entire level where you fight EVERY SINGLE PRIOR BOSS one more time. It was all I could do to keep playing and not just abandon Mutants in Manhattan right there.